Which Breech is Right for Me—or Do I Need Tights? Breeches are an essential part of any English rider’s wardrobe. Once you’ve tried them, you’ll never go back to riding in jeans, whether you’re training, showing, or even heading off on a leisurely trail ride. Breeches are athletically-inspired pants made to fit snugly throughout the seat, thighs, and legs with hemmed pant legs that fit easily into tall boots or half chaps. All breeches and riding tights are made of fabrics that provide stretch in order to give you full mobility, despite the close fit. Breech colors for competition remain conservative, but when it comes to schooling or pleasure riding, anything goes. Colorful patterns, embroidery, or crystal embellishments can please even the most fashion-conscious rider, or stick to the basics to achieve a timeless look during every ride. Different types of fabrics, features, and price points provide you with lots of options to choose from. Front pockets versus back pockets, front-zip or side-zip, low, mid, or high-rise – the possibilities are endless. So, where should you start in finding your perfect breech? We recommend first choosing between the two main types: knee-patch or full-seat. Knee-patch breeches have patches of textile along the inner aspect of the knees that offer a little extra grip while maintaining two-point or jumping position. This type of breech is the classic choice for hunter/jumper riders and hunt riders as well as eventers during the jumping phases of a three-phase. Full-seat breeches are better suited for dressage riders, or any deep-seated rider who works to communicate with their horse through subtle weight and seat aids. This style of breech has grippy textile along the seat, inner thighs, and knees. If neither of these breeches sound right for you, or if you’re looking for the perfect casual riding pants for pleasure riding or schooling rather than competition, riding tights might be an even better option. 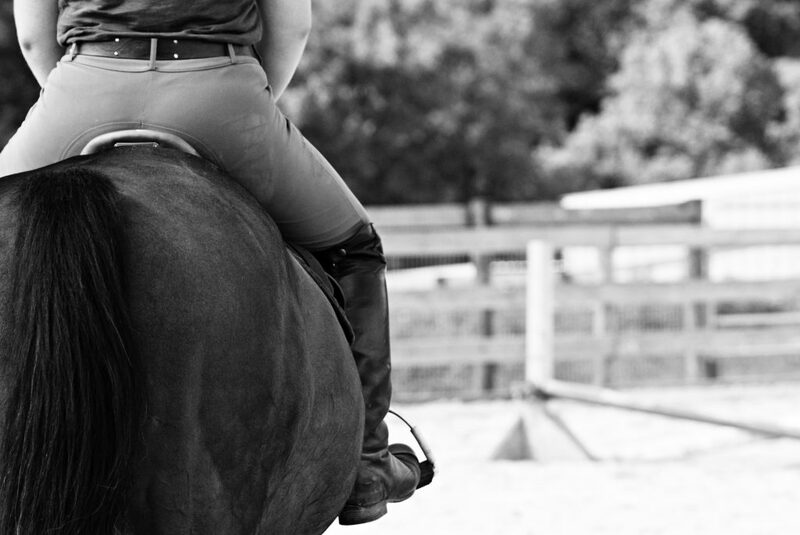 Riding tights are the equestrian equivalent of yoga pants: exceptionally comfortable, economical, and easy-care! 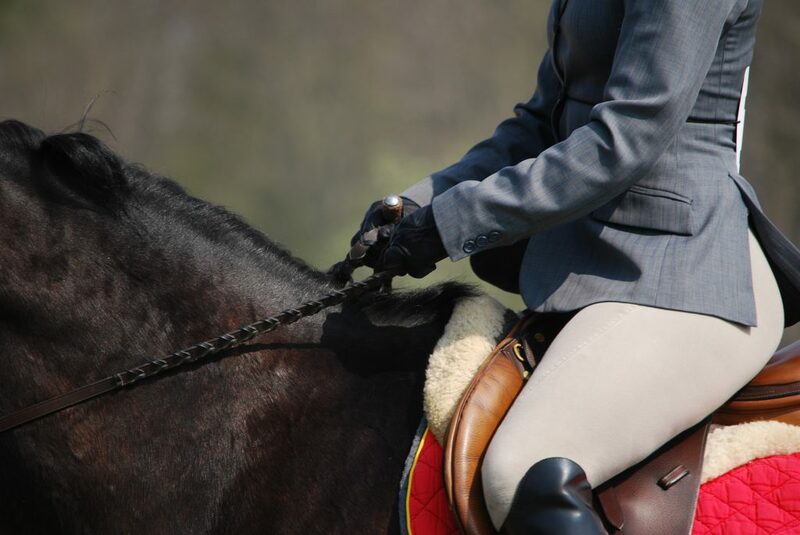 No matter what type of breeches or riding tights you need, Dover Saddlery is here to help find the right pair for you. Browse through our collections of women’s, men’s, and kids’ riding pants and take a look at our complete guide to buying breeches. This entry was posted in Uncategorized and tagged breeches, English riding, full-seat, full-seat breeches, knee-patch, knee-patch breeches, Riding Apparel, riding pants, riding tights by Dover Saddlery. Bookmark the permalink.